A Black Forest Décor Exclusive - Dress your woodland table with pine needles and cones in soft, natural colors on quilted cotton. Machine wash.
A Black Forest Décor Exclusive - Dress your woodland table with pine needles and cones in soft, natural colors on quilted cotton. 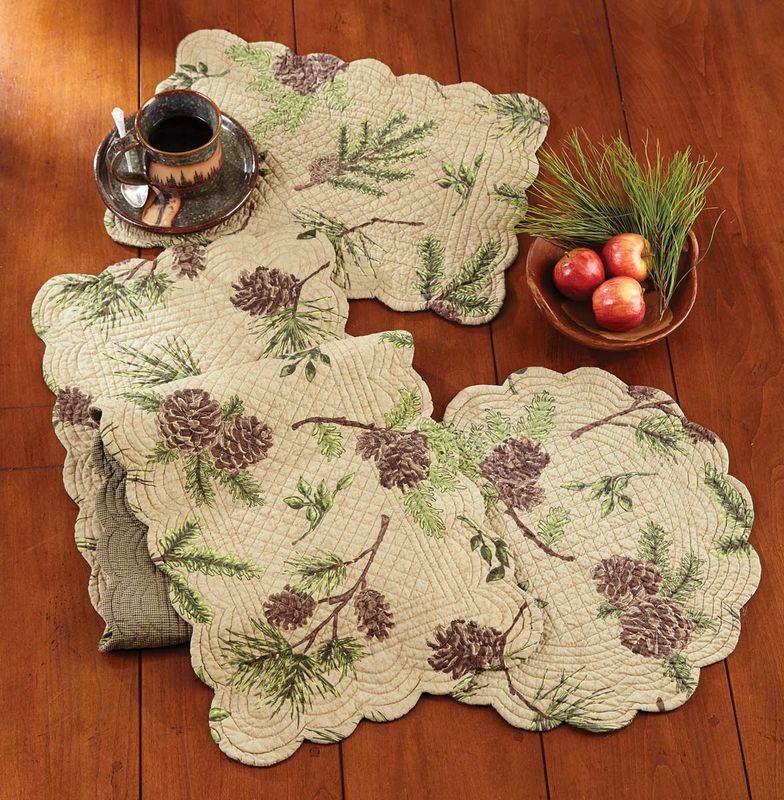 Machine wash. 19"W x 13"L.
A Black Forest Décor Exclusive - Dress your woodland table with pine needles and cones in soft, natural colors on quilted cotton. Machine wash. 14"W x 51"L.